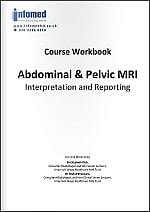 comprehensive (covering a full range of abdominal and pelvic imaging topics). The course is pitched at a level suitable for consultants and senior STs in radiology involved in interpreting and reporting abdominal and pelvic MRI in their clinical practice. identified skills and knowledge gaps, if any, relevant to his/her practice, and clear ways by which these can be addressed. Faculty of practicing consultant radiologists, experts in their fields, with extensive experience in advancing the abdominal and pelvic MRI skills of peers nationally and internationally. No didactic lectures – practical course, just workstation based cases and teaching pearls. Comprehensive – covering a full range of abdominal and pelvic imaging topics. A brief introduction by the session lead. A few minutes for candidates to go through the cases, using their workbook. Session lead goes through each case with the whole group on the big screen.